Sarina Morales is a self-proclaimed “city girl.” Born and raised in San Fernando Valley, Morales had never worked on a farm, planted her own food, or chased chickens. But all of that changed this summer. 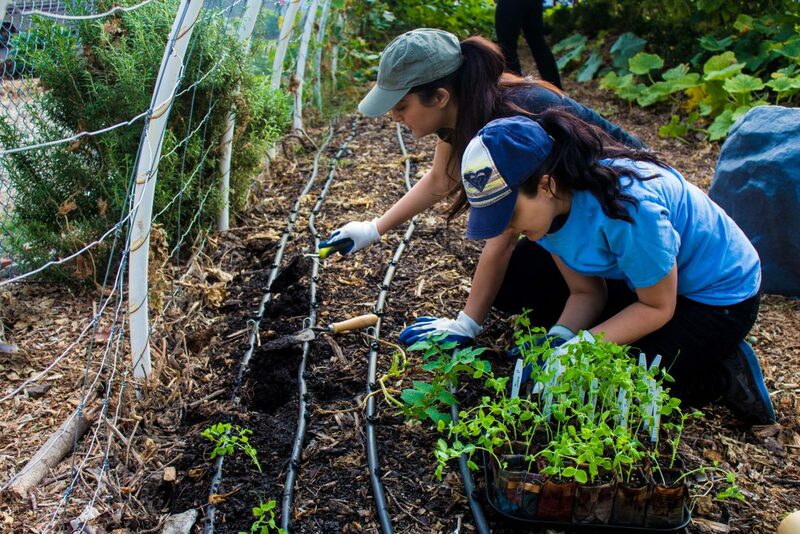 The service learning course, which was sponsored in part by the UC Global Food Initiative and created by the UCLA Center for Community Learning, paired students with eight different community partners. Morales, who is a junior, originally came to UCLA with dreams of becoming a doctor. She declared her major in human biology and society, and immediately began completing the required courses for medical school. She always loved the subject of food, but never knew it was something that could actually be studied at a university. So, when her department sent out an email about the class, Morales signed up. Before Morales started working with the community partner Kindred Spirits Care Farm, she expected to do manual labor in the garden, like planting food. However, when she got there, she soon realized that in addition to gardening, she would be caring for goats, geese, pigs, chickens, rabbits and alpacas. Karen Snook, who is the Kindred Spirits co-founder and executive director, taught Morales how to care for the various rescue animals and even how to corner, catch and clip the nails of a chicken. Dr. James Bassett, instructor with the UCLA Institute of the Environment and Sustainability, taught the course over the summer. For Bassett, the community engagement component is particularly important because students see the subject of food come to life. At Kindred Spirits, UCLA students work in the animal rescue and sanctuary, permaculture garden or with students from John R. Wooden High School, a continuation high school for at-risk kids, where the farm is located. 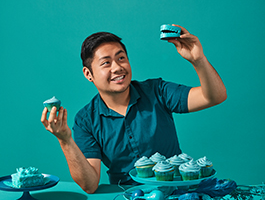 Snook takes time with each UCLA student to connect everything back to topics such as social justice, food deserts, food insecurities, and agriculture. Snook, who received her B.S. 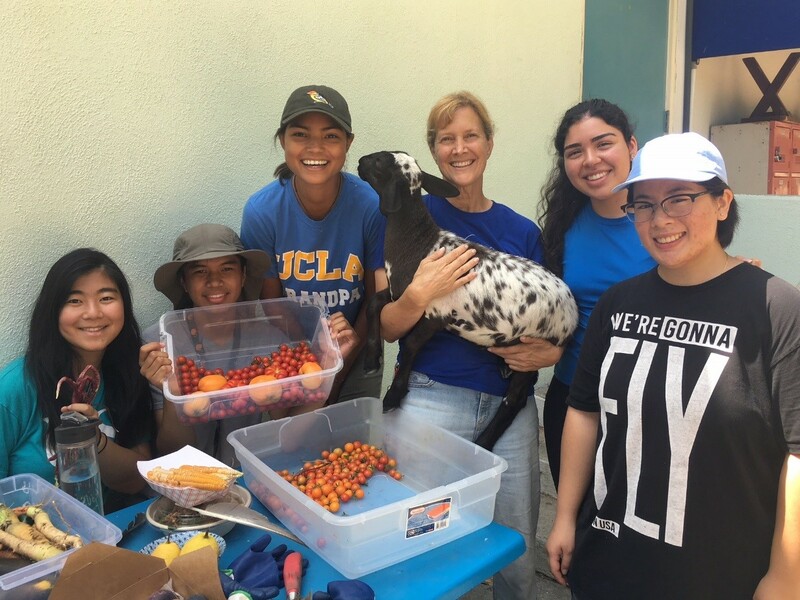 in psychobiology with a specialization in computer science from UCLA, says that working with her alma mater and seeing a new generation of Bruins passionate about food justice gives her the energy to continue her work. Bassett may work in the classroom with students, but he feels the same way as Snook. Morales says that the time she spent in class with Bassett and working with Snook at the farm exceeded her expectations. 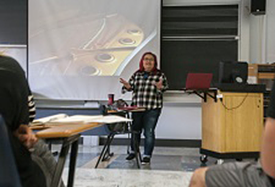 She also credits her hands-on experience with for fueling her passion for food studies. She recently switched her major to environmental science with a minor in food studies. Now, Morales looks to do advocacy work by starting grassroots food and health movements in local low-income communities.